TRON—–yawn. A very expensive, highly touted 1982 letdown from Disney, footing the bill for a brainstorm written and directed by Steven Lisberger. 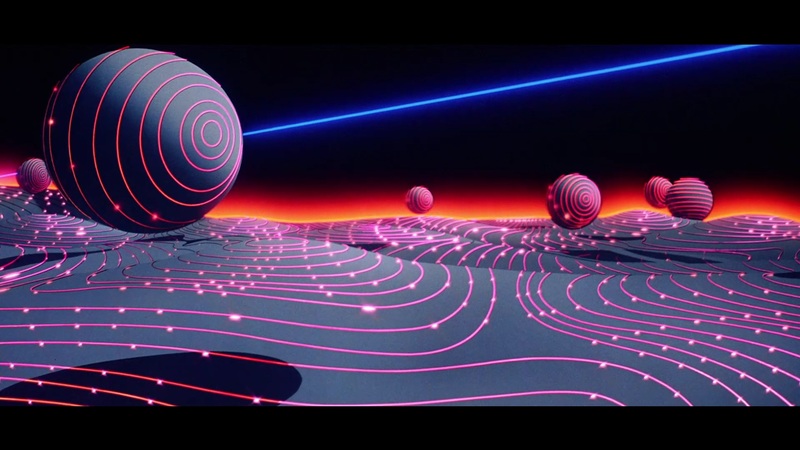 It’s a razzle-dazzle light show about a computer hotshot who abruptly materializes inside a video game-grid, where he becomes target to all manner of relentless electronic zapping. Can naked human resourcefulness outwit mindless programming? (who wins most of the time–your computer, or you?) Do you care? You would if Lisberger had given his fleshbearing characters a dinks worth of personality. 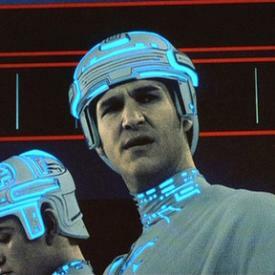 Jeff Bridges, as the whiz, and Bruce Boxleitner, as Tron (his helper, not a bad sort– for a particle) are actors with charisma. So is David Warner, the bad guy, ultimo corporato dastardo. But they have scant chance to exercise their talents. Which leaves the special effects, and for a while they carry the flick, as expected. There is as much as anyone could ever want of slick sound trickery and graphics-guided choreography, with every kind of stark-mod category of photo-animationized hoohaw you can shake a mouse at. Some, like the Light-Cycle, are pretty hot, but after an hour or more (the movie runs 96 minutes) you’re saturated, and as the novelty wears thin on the visuals, it simply becomes a big, fast cartoon, no more realistic than Dumbo (minus the humor), and the color scheme is as drab and monotonous as the blinking box it’s all taking place in. Since you can’t believe in the actors, with their bored faces superimposed on backdrops, and since the threat and excitement of etch-a-sketched obstacles is nullified, it leaves little reason to watch, unless you’re a child or maybe have lucked out and scored some especially good mescaline. It was ‘groundbreaking’ insofar as it helped usher in the amazing age of digital wonders that have given us astounding dinosaurs, vast armies and movie destruction on a scale the Pentagon can only wish for. It made $33,000,000 when it came out, not quite what they’d hoped for on a budget of $17,000,000, and drew two Oscar nominations—Sound, which made sense, and Costume Design, which didn’t. With Cindy Morgan, Barnard Hughes, Dan Shor. Spawned games, books and in 2010, a sequel.